The Shamrock tattoo is a tattoo drawn from a young sprig of clover which is mainly used a symbol of Ireland. The shamrock symbol is said to have been used by an early Ireland’s patron known as St. Patrick, as a representative symbol of the Christian’s Holy Trinity. As a matter of fact, the name shamrock is derived from the Irish word seamrog, a diminutive of the word seamair which means clover. Shamrock, as a botanical species may either refer to the species Trifolium repens which is the white clover or Trifolium dubium which is the lesser clover. It is also worth noting that there may be other three-leaved plants which may at times be referred to as shamrocks or clovers. These include the Oxalis acetosella, Medicago lupulina, and Trifolium pratense. The shamrock was originally used due to its medicinal properties and was also a popular motif during the Victorian times. 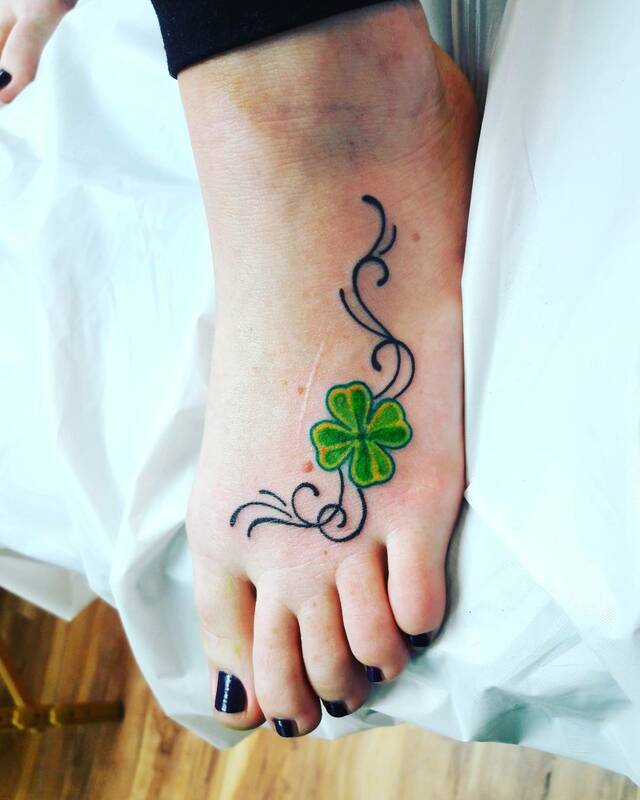 Shamrock tattoos trace their origin way back to Ireland. In early Irish literature, the word shamrock was used in reference to a flowering clovered plain. There are countless citations in this regard, such as those told in medieval poems about places such as the Metrical Dindshenchus and the Co. Kildare places that were said to be magnificent plains covered with blossoming clovers. However, it is worth noting that early references to Irish literature do not make any distinction between a shamrock and a clover, and it is only in English definitions that the word shamrock emerged as a distinct word. In the English language, the word shamrock was first mentioned in the year 1571 as cited in the works of Edmund Campion, an Elizabethan scholar. The scholar is seen as making reference to the word shamrock through his sensational claims that the Irish ate the plant. While there is no real, tangible evidence to the fact that the Irish actually ate shamrocks, it is through these claims by Campion that the theory was advanced throughout history, thereby making the word almost synonymous with Irish culture and an inseparable part of the Irish identity. Perhaps another theory suggesting the origin of the popularity of shamrock is the one linked to Saint Patrick. It is believed that the Saint used the symbol to illustrate the Christian doctrine of the Holy Trinity. Acting as a Christian missionary to Ireland, the Saint is among the first of missionaries who advanced the doctrine of the Holy Trinity. He used the shamrock symbolism to illustrate that while there is only one Supreme Being, he exists in three forms namely God the Father, God the son and God the Holy Spirit. 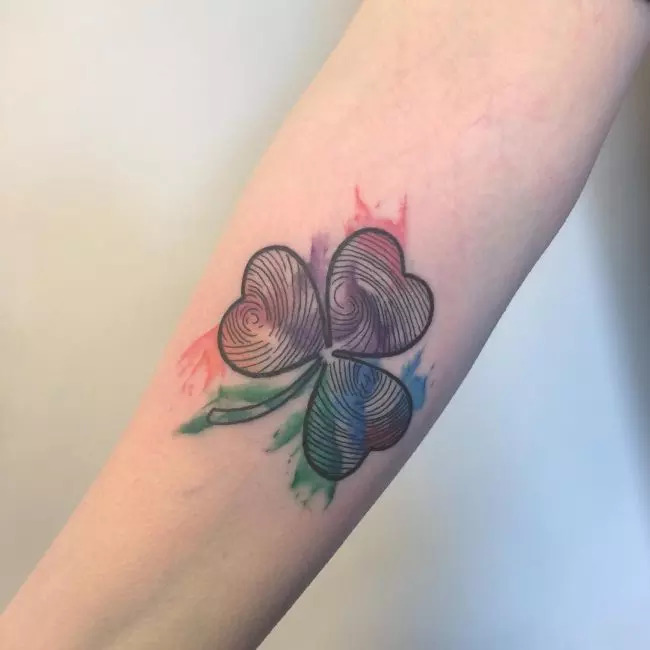 It is against the backdrop of these teachings that the tattoo designs drawn from the shamrock have had such a great spiritual significance to many people to date. Shamrock tattoos have different meanings to different people. As already mentioned, the tattoos are a representative of the Holy Trinity, a doctrine advanced among many Christian believers suggesting the existence of God as three beings. Perhaps it should also be mentioned that not all Christians who place these tattoos on their bodies out of a spiritual connection do so with reference to the trinity doctrine, as the doctrine itself has been a subject of a ceaseless debate among different Christian denominations. Also on the spiritual connection, the shamrock is seen as a representative of the three noblest attributes – faith, love, and hope. Those who place the tattoos on their bodies believe that there is a supernatural being who loves us unconditionally, and to whom we should always look up to in faith and hope. In essence, these attributes may have been further elaborations on the Holy Trinity, but with varying degrees of association to it. Another meaning of these tattoo designs is respect for family history and traditions. 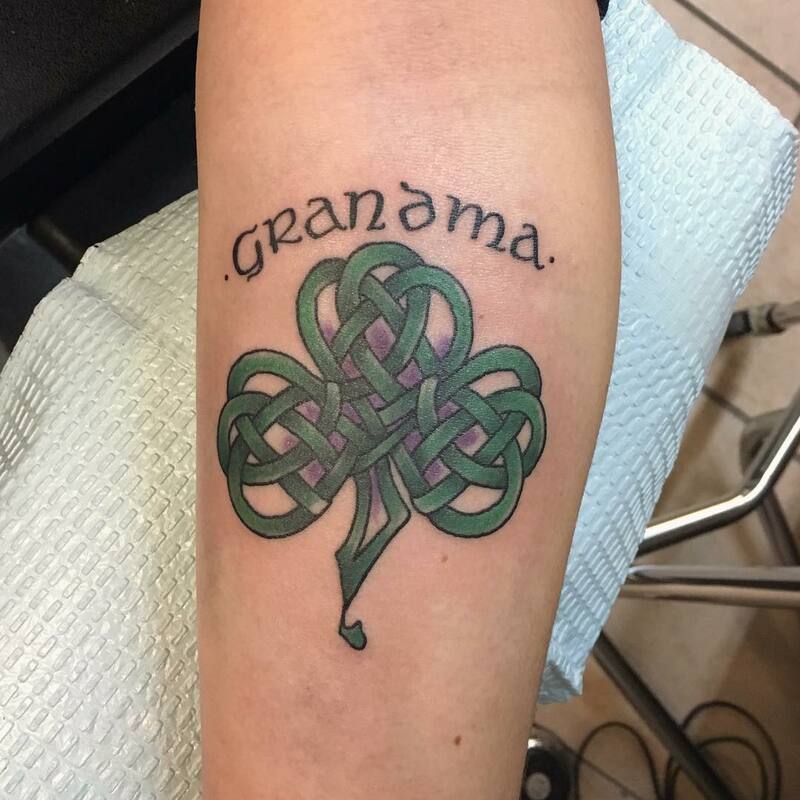 While the tattoo designs are predominantly used to depict Irish heritage, many people have learnt to associate them with their individual family history, as they come off as the best way to touch base with one’s ancestry. The tattoos may also be used to illustrate the abundance of Mother Nature, thanks to the early depictions showing it as a plain full of blossoming clovers. It is also in this regard that many people will associate it with the bountiful nature of their gods and goddesses. Depending on how deep an individual’s connection with nature is, the tattoo designs could also be used to represent a balance of all the energies as well as a course wealth. 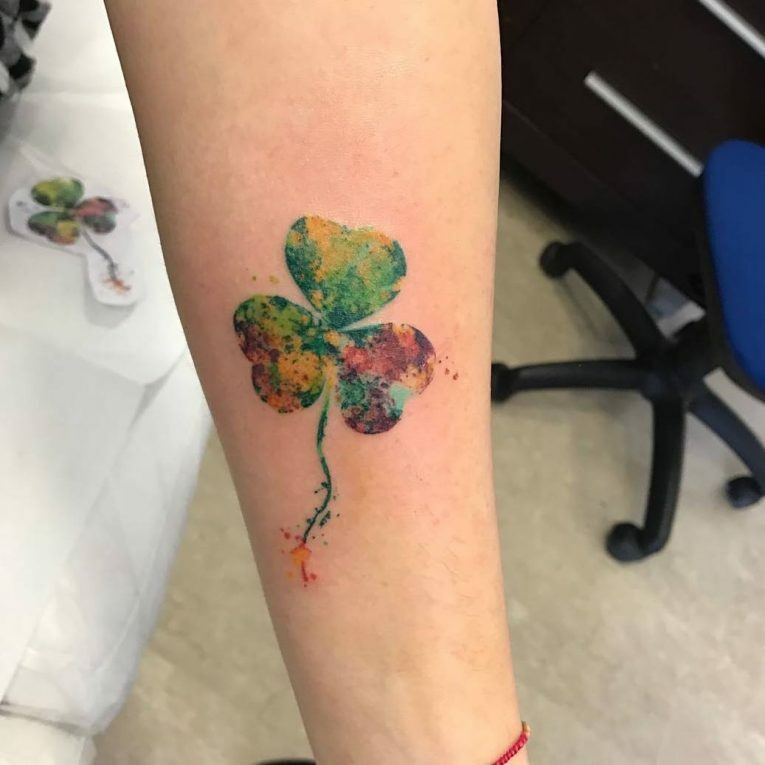 Perhaps one of the most sizzling meanings of tattoo designs associated with the shamrock is luck, especially when the shamrock design in question is the four-leaf clover. In essence, it is the rarity of the four-leaf variation of the shamrock that makes it be highly connected with good fortune. It could, therefore, be used as a symbol of a rare breed, a unique soul and being someone who follows unbeaten paths in life. With reference to the Holy Trinity, it shows man as the addition to the trinity, thereby depicting him as one of the luckiest beings, having reconciled with his maker after years of condemnation. 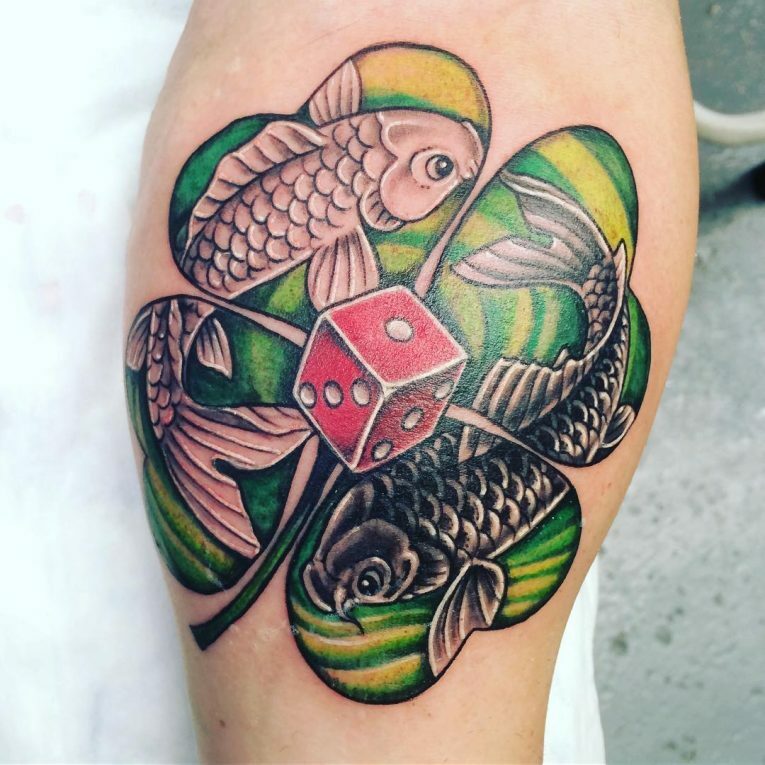 Because most of these tattoo designs are predominantly green, many have also learnt to associate them with growth and financial gain as well as attainment of life goals and good health. This is for the reason that green is known to be a brain trigger for the feelings of refinement, satisfaction, and wellness. 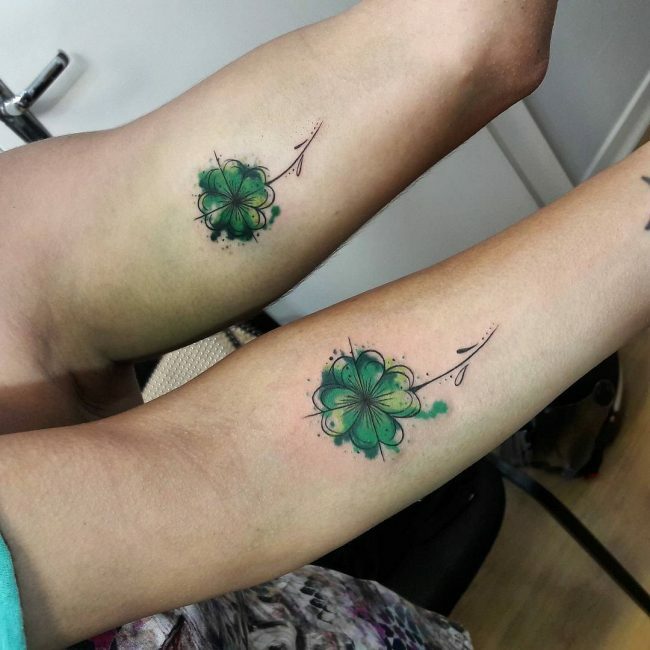 Those people who want to induce a feeling of calm and relaxation will also be seen having these tattoos, as a symbol of the sweetness of the shamrock smell. Shamrock tattoos may be placed on any part of the body depending on the preference of an individual. However, the abdomen is known to be the most popular spot for those who associate these tattoos with fertility and generosity. 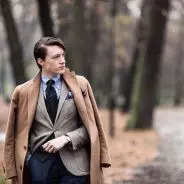 Should you choose to have them drawn on your body based on your spiritual attachment to them, then the chest or breast would be the most apt place, as man is known to connect with his spirituality through this organ. All in all, you may choose to have them on any area or region of your body as long as the sentimental meaning remains in your mind. Over the years, we have been introduced to several tattoo designs and we have fallen in love with them based on our varied perceptions of what they symbolize in our individual lives. If there was ever a tattoo design whose meaning is so intertwined with religion and spirituality, it is the shamrock tattoo designs. While many people may view them as nothing but a drawing symbolizing an exotic plant species, the Christian communities hold these tattoo designs in awe as they are the closest we could possibly get to unraveling the mystery behind the Holy Trinity.